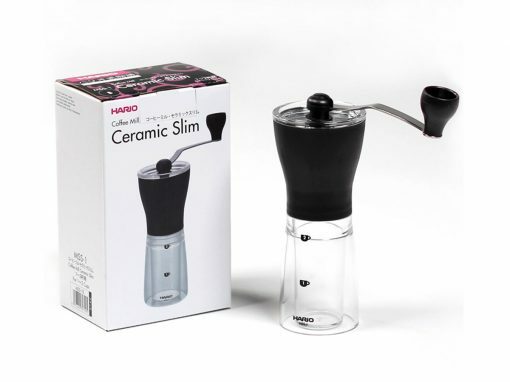 The perfect portable coffee grinder companion for the AeroPress, made by Hario of Japan*. It’s great for travel and for everyday use. It uses no electricity, so you can get fresh ground coffee anywhere – and a bit of arm exercise too! The grind quality is very even, and the low speed manual grinding action provides a superior tasting cup of coffee compared to a typical high speed blade grinder. Just scoop your beans into the plastic dish at the top, rotate the grinding wheel, and in a few moments you’ve got nicely ground coffee in the small plastic container below. 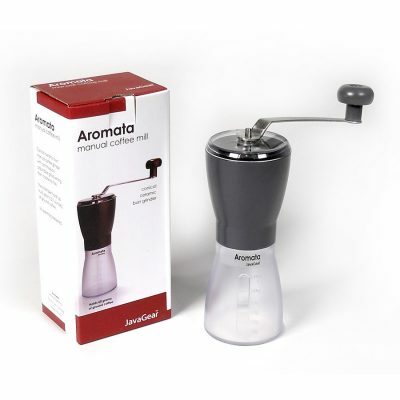 Its adjustable ceramic conical burrs let you easily set the fineness or coarseness of the grind. 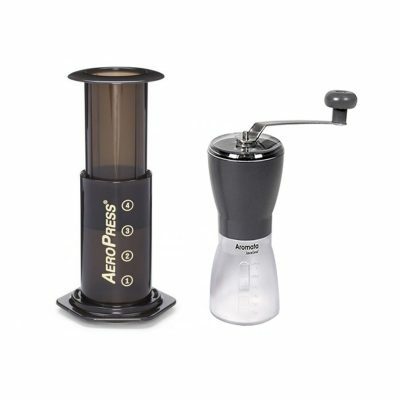 You can even remove the plastic jar and grind directly into the AeroPress, which makes it even more portable! * Note: Hario is a Japanese company, but they make the Slim grinder in China. 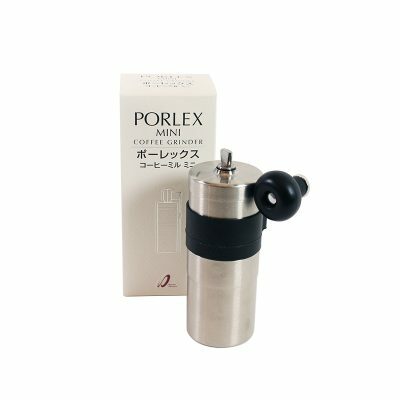 If you prefer a grinder that is manufactured in Japan please choose the Porlex Mini Grinder.